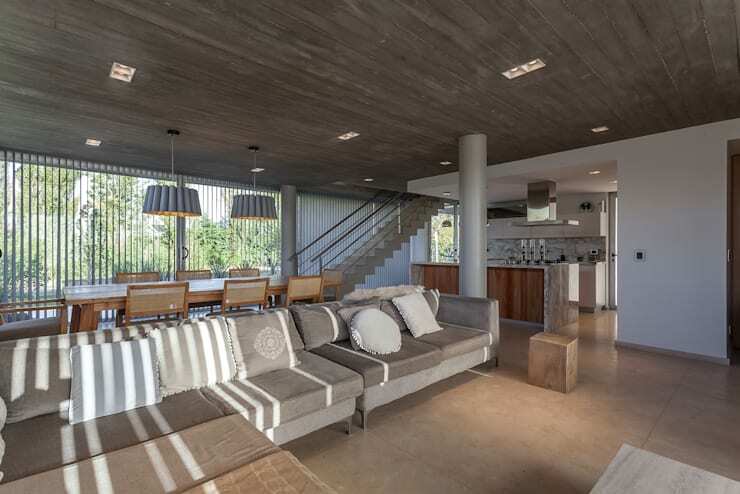 Today on homify, we’re going to be taking a look at 5 modern homes. These fabulous dwellings will inspire and delight, and are guaranteed to get you thinking about the way you utilise space in your house. 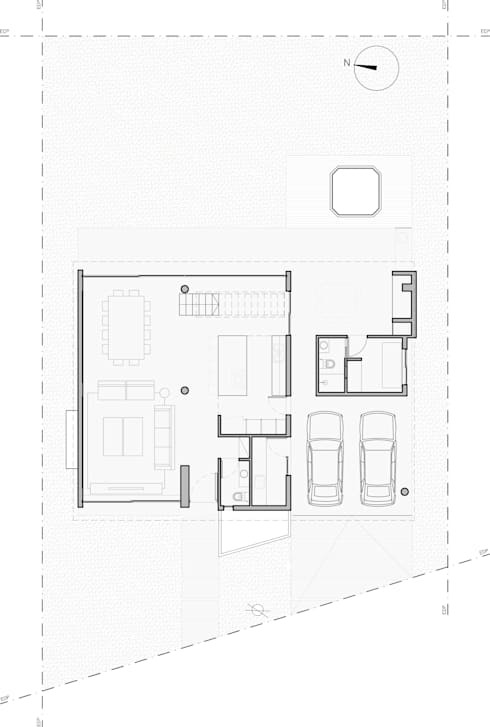 Often when we check out images of properties on homify, we forget to take a more in-depth peek at the floor plan to discover the layout, as well as they way the architects have configured the abode. 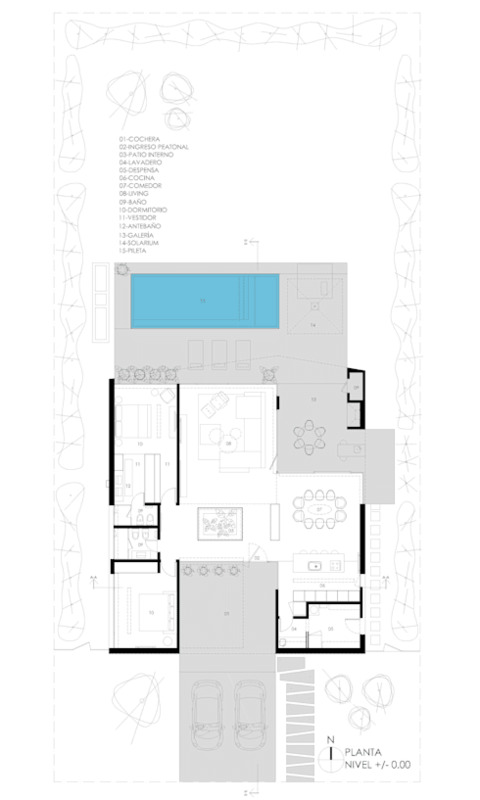 Floor plans work brilliantly in conjunction with imagery, and assist in giving a full picture of the residence. 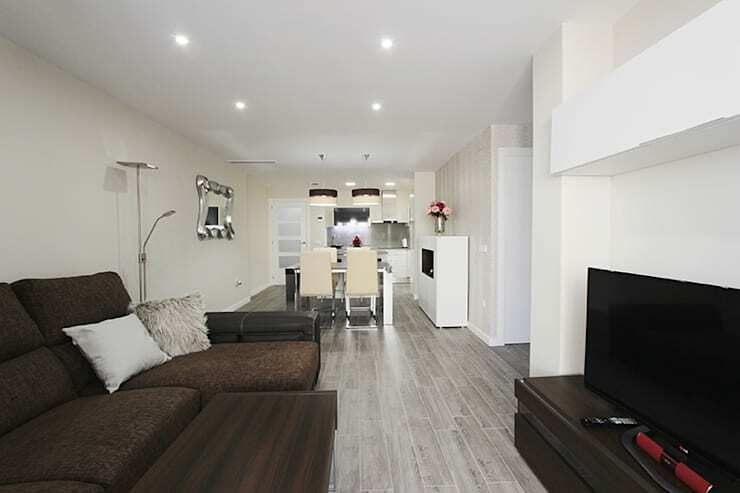 Moreover, they help provide a great indication of furniture placement, and the general setup within each room. Would you like to check out our 5 stylish house picks for today? Look at the images below and perhaps glean a few ideas or inspiration for your own home. This stylish abode, which has been designed by the team at Studio Geya Architects, shows us what can be achieved with a little ingenuity and creativity. 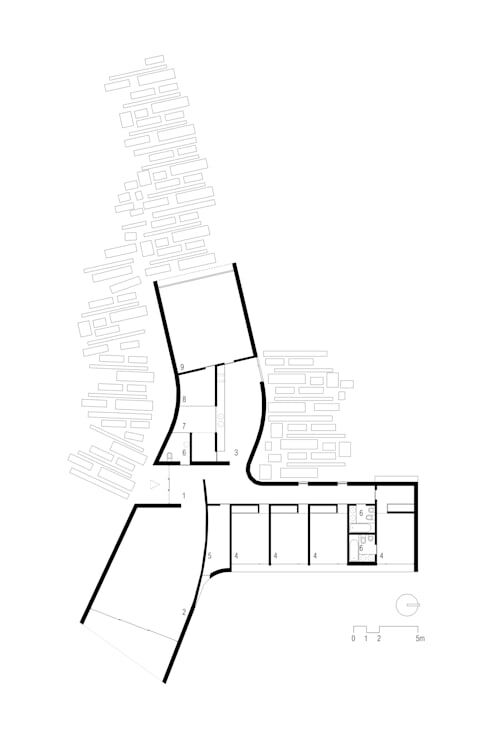 Here we see the floor plan of the lower ground floor. This space features the main entrance, living room, kitchen, WC, garage, separate bathroom, storage areas and stairs leading to the first floor. 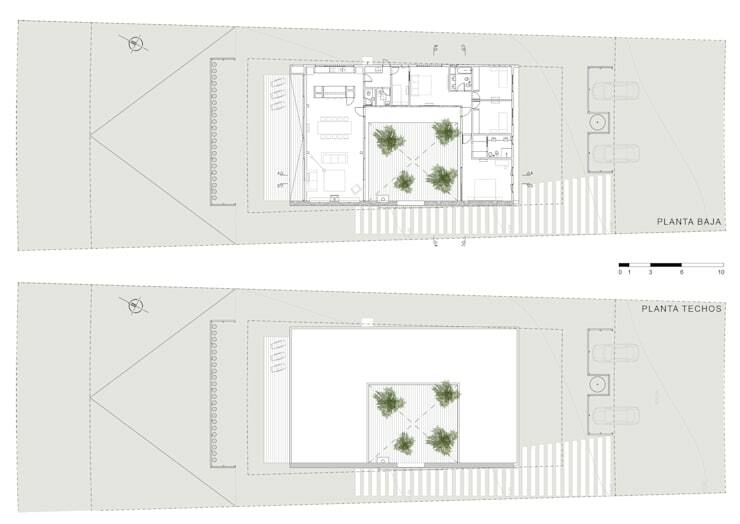 From this plan its fairly hard to get an idea of what the space actually looks like, but instead we see how the area functions. There is a utility space located off of the garage, and the kitchen is linked to this car area thanks to a private entrance. The final result is absolutely amazing and boasts some lovely industrial-esque fittings and fixtures, which promote a sense of bunker-like luxury. The concrete structure is complemented by a false ceiling in the cooking space, which assists in softening the concrete finish, and separating it from the living and dining quarters. The decorations and furniture are modern, and huge windows have been installed to let in an abundance of natural light. Inside, we finally get to see what the home looks like in reality. Long and linear, the apartment is wonderfully decorated in a contrasting set of dark hues and light colours. With the kitchen in the background, the right hallway leads to two of the three bedrooms and one of the bathrooms. Next up we take a peek at a home that is replete with a striking internal courtyard. The house is built around this centralised outdoor living space, which provides ample sunlight to the rooms within the abode. As we see from the plan, there is also an additional terrace, which boasts lounge chairs for sunning oneself under the afternoon's rays. The jewel atop the crown, this dwelling's courtyard is liveable and stylish, promoting a sense of sunny cheerfulness. 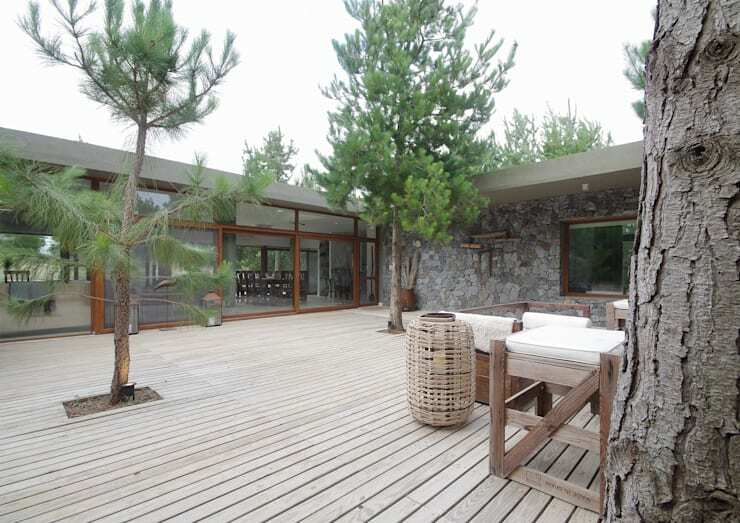 With trees growing in the middle of this courtyard, we get a feeling of connectedness with nature, and the range of natural materials utilised in this home's construction definitely assists with this organic aesthetic. Truly impressive, the swimming pool is definitely an eye-catching highlight. 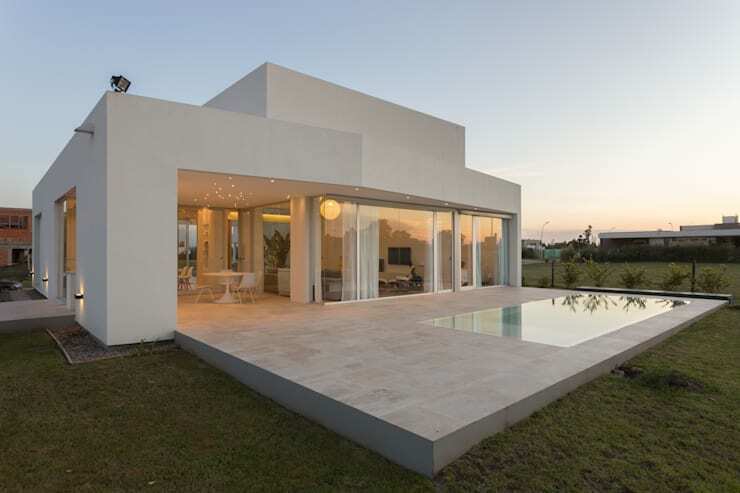 The final result shows us the modern exterior, and the strong architectural lines and forms that are crucial in creating a desirable and alluring abode. The architects of this interesting house have definitely chosen to think outside the box when creating this individual dwelling. With a bird's eye view of the entire property, we see how the bedrooms are bunched together in one wing of the structure, while the living quarters occupy the other wing. 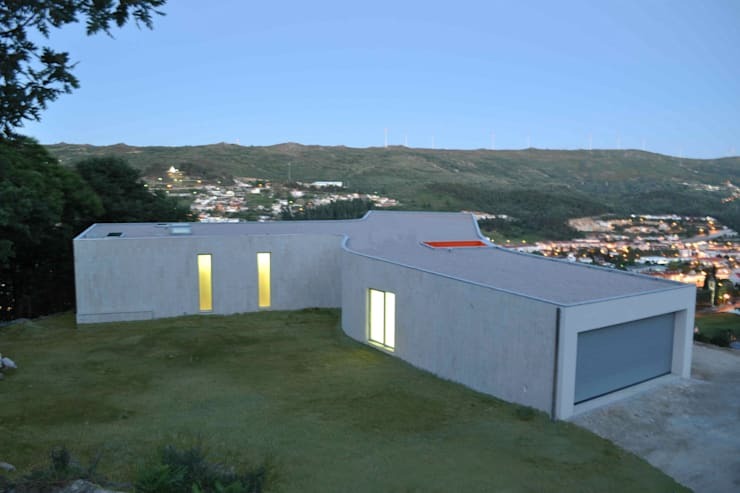 A T-shaped dwelling, this home is definitely unique and attention-grabbing, yet boasts a functional and usable layout. The finished structure is exactly what we expected. Built to take in the stunning town surroundings, the home maximises its high positioning to offer its occupants unique scenery and a sense of being on top of the world. Contemporary and unconventional, this narrow property is definitely an enduring and original experience!